Montpelier City Hall Auditorium, Montpelier, Saturday, November 10, 10 a.m. The scene at Montpelier's City Hall Auditorium looked like one right out of Will Ferrell's 2003 Christmas flick Elf. When Ferrell's Buddy the Elf meets his estranged father for the first time, he begins to fantasize about all of the activities that he's always wanted to do with his dad. "I thought maybe we could make gingerbread houses, and eat cookie dough, and go ice skating, and maybe even hold hands," the overgrown elf says, getting more and more excited with each imagined activity. 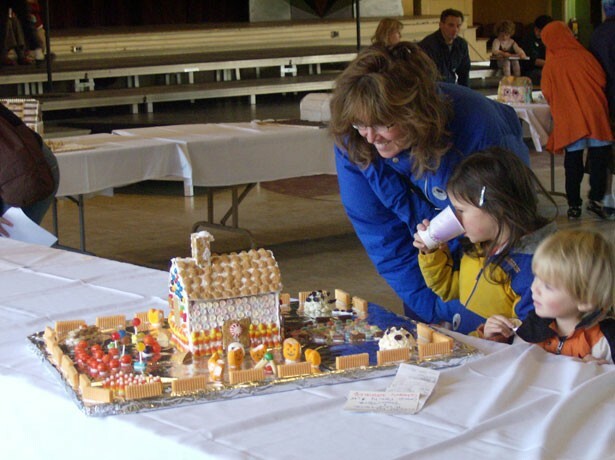 Christmas-crazed Buddy would have been right at home at the Central Vermont Community Land Trust's Gingerbread House Contest ' a creative way to call attention to the organization's ongoing efforts to construct affordable housing for low-income people. The auditorium looked as if a miniature city of confectionery delights had been built overnight. The soothing smell of ginger permeated the room while a crowd of about 50 strolled about, admiring the handiwork of some three-dozen entries in the 'contest.' The frosted structures were impressive enough without the gumdrop trees and roofs shingled with chewing gum. Participants entered into one of four categories: traditional "best in show," CVCLT property, historic and most affordable. Most affordable!? As part of the day's overall "Home Sweet Home" theme, contestants in this category were required to display their receipts along with their constructions. One inexpensively priced abode was made for about two bucks. High-end or ghetto, Vermont's gingerbread housing market is red-hot at this time of year. As parents chauffeured their children around the tables, you could hear them dispensing advice along the lines of "Look, don't touch" and "No, you can't eat that." Some families had built their houses together, aiding each other throughout the process. One such clan, the Spinks, assembled five of their own spicy dwellings - a gingerbread housing development! Even 3-year-old Kasey participated, with help from Mom and Dad, of course.